Who Must Rend the Clothing? When Should the Rending Take Place? Which Clothing Should Be torn? Should a Pinned Ribbon Be Used? Where Should the Cut Be Made? How Long Should the Rent Garments Be Worn? The most striking Jewish expression of grief is the rending of garments by the mourner prior to the funeral service. The Bible records many instances of rending the clothes after the news of death. When Jacob saw Joseph's coat of many colors drenched with what he thought to be his son's blood, he rent his garments. Likewise, David tore his clothes when he heard of the death of King Saul, and Job, who knew grief so well, stood up and rent his mantle. The rending is an opportunity for psychological relief. It allows the mourner to give vent to his pent-up anguish by means of a controlled, religiously sanctioned act of destruction. Maimonides, according to the interpretation of B. H. Epstein (Torah Temimah on Lev. 10:6), notes with sharp insight that this tear satisfies the emotional need of the moment, or else it would not be permitted as it is a clear violation of the biblical command not to cause waste. For this reason, we may assume, the tear for parents must be made with bare hands. Geoffrey Gorer, in his book Death, Grief and Mourning, notes that "although our culture gives no symbolic expression to anger, a considerable number of others have done so." This is seen in such rituals as the "destruction of the dead person's property or possessions or, slightly more indirectly, by the various mutilations which mourners have to inflict upon themselves as a sign of the pain which the dead have caused them. According to some psychoanalysts, this anger is a component of all mourning, and one of the main functions of the mourning process is to work through and dissipate this anger in a symbolic and, to a great extent, unconscious fashion." Keriah may serve also as a substitute for the ancient pagan custom of tearing the flesh and the hair which symbolizes the loss of one's own flesh and blood in sympathy for the deceased and which is not permitted in Jewish law (Deuteronomy 14:1-2). The halachic requirement to "expose the heart" (that is, that the tear for deceased parents must be over the heart), indicates that the tear in the apparel represents a torn heart. The prophet Joel (2:13) chastises the Jew to rend the heart itself, not only the garment over the heart, indicating that the external tear is a symbol of the broken heart within. Another, and relatively unknown, reason is advanced in the Jerusalem Talmud (Moed Katan 3:5): The "exposing of the heart" is performed because the mourner has lost the ability to fulfill the biblical command to honor father and mother. We suffer deeply when we can no longer give love to our beloved. 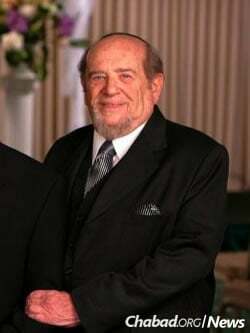 Of course, respect for parents can, and should, be expressed after their death, but, according to many authorities, it is a rabbinic, rather than a biblical enactment. Keriah, thus, also symbolizes the rending of the parent-child relationship, and confronts the mourner with the stabbing finality of this separation, expressed on his own clothes and on his own person for all to see. Seven relatives are obligated to perform this command: son, daughter; father, mother; brother, sister; and spouse. They must be adults, above the age of thirteen. Minors, who are in fact capable of understanding the situation, and appreciating the loss, should have other relatives or friends make the tear for them. For pre-Bar Mitzvah youngsters who are too immature to understand the gravity of the situation, one should nonetheless make a slight symbolic cut in the garment. This unites them with the family at the terrible time of tears and tragedy. Divorced mates may cut their clothing, but they are not obligated to do so. They also may, of course, bemoan the death with the others and accompany the deceased to the cemetery. Sons-in-law or daughters-in-law, if this is their sincere desire, may rend their garments out of respect for their spouse's tragedy. This should be done only with the assurance that their own living parents will not object. Bride and groom should not perform the clothestearing ritual during the first seven days following the wedding. This time is one of inviolate joy even in the face of grief. Mentally ill patients, who cannot appreciate the gravity of their loss, or may not see the death in its proper perspective, should not tear the clothing. If it is the patient's parent who has died, rending should be performed after sanity has returned. In the case of the death of other relatives, once it has been delayed it is not to be done at all. The physically handicapped, or those too weak to make the tear themselves during the shiva, should not have their garments cut subsequently, even though they recover. They felt the pain and anguish at the time of the occurrence of death, and the later rending is purposeless, as the rending must take place during the time of most intense grief. At the moment of hearing of the death, wherever the mourner may be at that time. At the home or the chapel, immediately prior to the service. At the cemetery, prior to the interment. Today, it is usually done at the funeral chapel; this is the preferable procedure. At this time, the rabbi is present and can supervise the rending in accordance with the traditional laws. Also, this is the time that the entire family is gathered together, and the relatives can stand by one another united through this emotionally charged expression of common bereavement. On Sabbaths and holidays the mourners should certainly be encouraged to delay the keriah until the service at the chapel. If, however, they desire to do so as soon as is possible, they must wait at least until nightfall. During chol ha'moed, the days between the first and last days of Passover and Succot, the keriah may be performed. Some rabbis may prefer to wait until after the holidays, especially if there are no sons or daughters, and it is, therefore, proper to allow the rabbi to make that decision. a. For parents there is no time limit. The garment must be rent no matter how late. b. For other relatives there is no obligation to rend after 30 days. a. For parents—they should rend as soon as they recall their omission. This may be done even if the time elapsed is very long. b. For other relatives—if it was recalled during shiva (the first seven days of mourning), the tear should be made then. Afterwards, it should not be made. However, the blessing that usually accompanies the keriah should be recited only within the first three days after death, but not later. The reason for this is that the blessing may be recited only in the midst of intense grief, and this stage of grief is considered by the law to last until the fourth day, after which time it slowly diminishes. The clothing to be torn is customarily the outer clothing usually worn at room temperature. This precludes the cutting of the overcoat and underclothes. For men, the vest should be cut, if it is usually worn by the mourner. If it is not usually worn, the suit, jacket or sweater should be rent. For ladies, the dress, or blouse, or sweater should be cut. Clothing may be changed for this rending. It is not necessary or desirable that new clothes be worn. The mourner may change into used clothing for this occasion. The rending of the clothes expresses the deepest feelings of sorrow and anguish. It is the symbol of a broken heart and a genuine mark of separation from one who was dearly beloved, with whom one had a blood relationship, or ties of matrimony. The grief we express at such moments taps the deepest wells of our humanity, and the manner in which we manifest it should be equally authentic. The anguish is exquisite and, one might even say, sacred, and the way in which we express it should be no less sacred. It is appropriate that this form of release of sorrow be sanctioned by faith and by centuries of ancient custom, going back often to biblical times. Tradition calls upon us to tear our garments, to put the mark of the broken heart on our own clothing. If, for some reason, the ribbon has been used at the funeral service, the mourner should make a tear in the proper clothing upon his return home. For parents: The tear should be made on the left side—over the heart-and should be plainly visible. It should be torn vertically, beginning near the neck and cut down approximately three inches. The initial cut may be made with a knife (by anyone close by), but then should be torn by hand by the mourner himself. 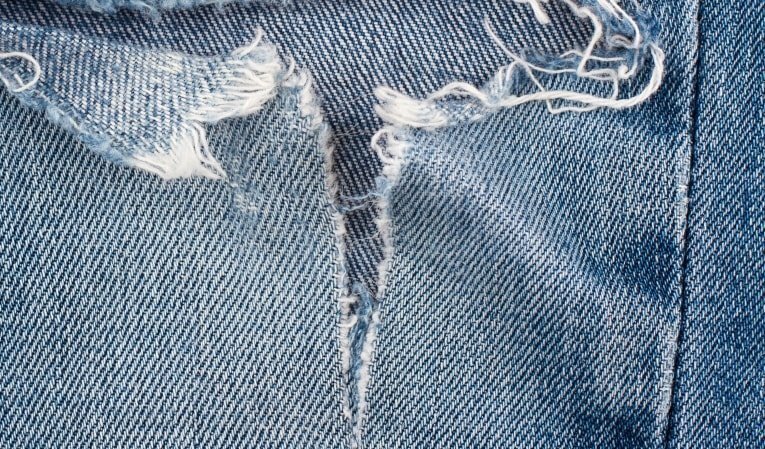 The tear should not be made along a seam, as it must appear to be a purposeful scar in the clothing, and not merely an accidental unthreading. For other relatives: The tear is made on the right side, and need not show. Thus, the cut may be inside the lapel of a jacket, or the lining of a sweater or dress. Also, it may be done by others, not necessarily by the hand of the mourner himself. The woman mourner must retain her modesty and, consequently, the tear in the garment should be made by herself in a relatively inconspicuous part of the clothing so as not to expose herself immodestly. For Parents: The rent should be clearly visible during shiva. If a change of clothes is required during that time, the changed clothes, too, should be cut. After shiva the rent clothes need not be worn. A daughter, for reasons of dignity and modesty, may baste the clothing that was torn as soon after the funeral as she wishes. The son may baste his clothing only after thirty days. But neither son nor daughter may ever permanently sew these clothes. The wound left by the passing of parents may be healed, but the scar never completely disappears. If a major holiday occurs during shiva, the clothes may be basted before sundown. The torn garments are not worn on the Sabbath during shiva. For other relatives: Mourners for relatives other than father or mother are required to perform the rending of the clothes, but need not make the rend visible. Thus, if they change their clothing during the shiva, they need not rend the new set of clothes. The clothes may be basted after the shiva, and sewn completely after the thirty-day period of mourning. If a major holiday occurs during shiva, the mourner may sew the clothes before sundown. "There is a time to rend the garment, and a time to mend it," says Ecclesiastes (3:7). The law requires that the rending of the garments be performed while standing. The posture of accepting grief in Jewish life is always erect, symbolizing both strength in the face of crisis, and respect for the deceased. Why Do Mourners Tear Keriah on Their Garments?